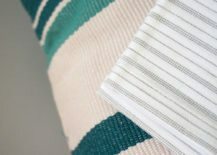 Stripes never go out of style! Neither do tropical leaves. 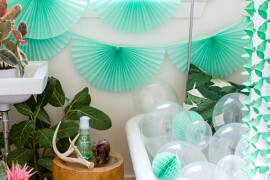 Put them together, and you have a picture-perfect summer vignette. 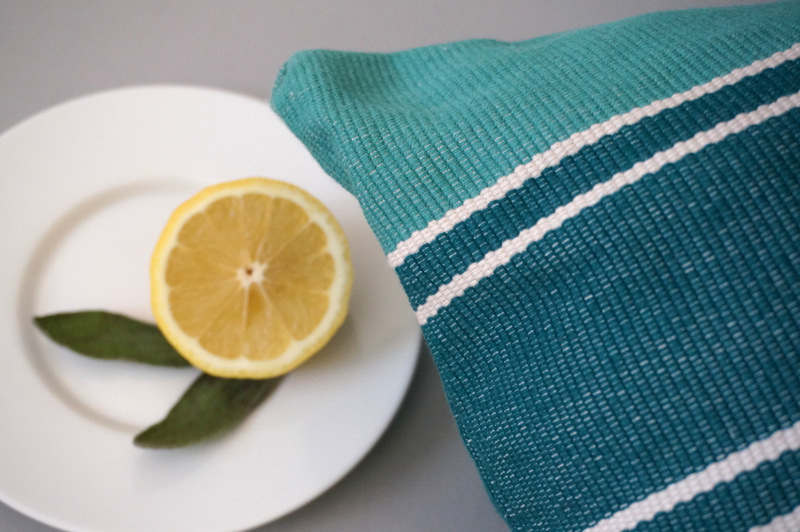 Today’s post features a Woven Striped Turquoise Pillow and Gray Ticking Stripe Napkins, both from Pier 1. 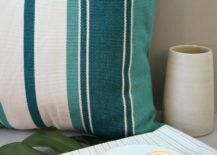 The pillow is also available in yellow, red and blue, but we’re partial to the vivid tones of the turquoise. 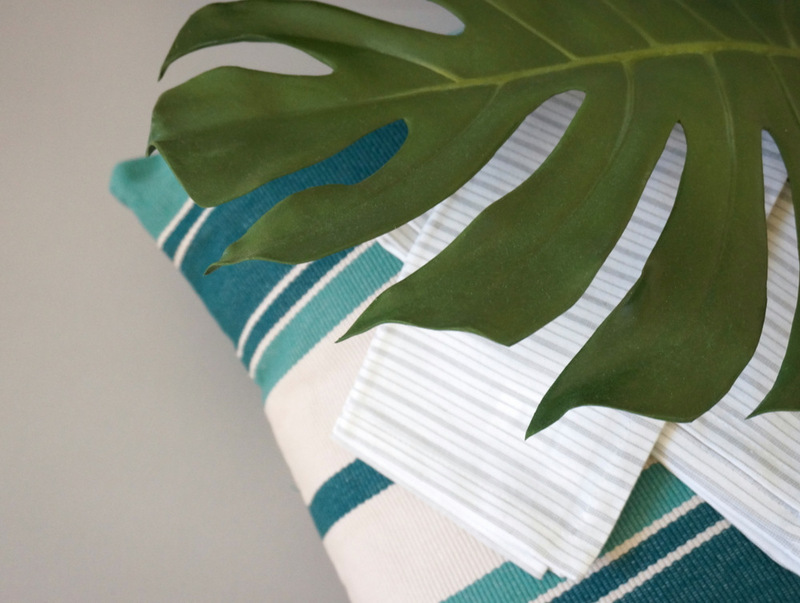 In addition, the napkins are available in mint green, but both the mint and gray options are equally crisp and refreshing for summer! 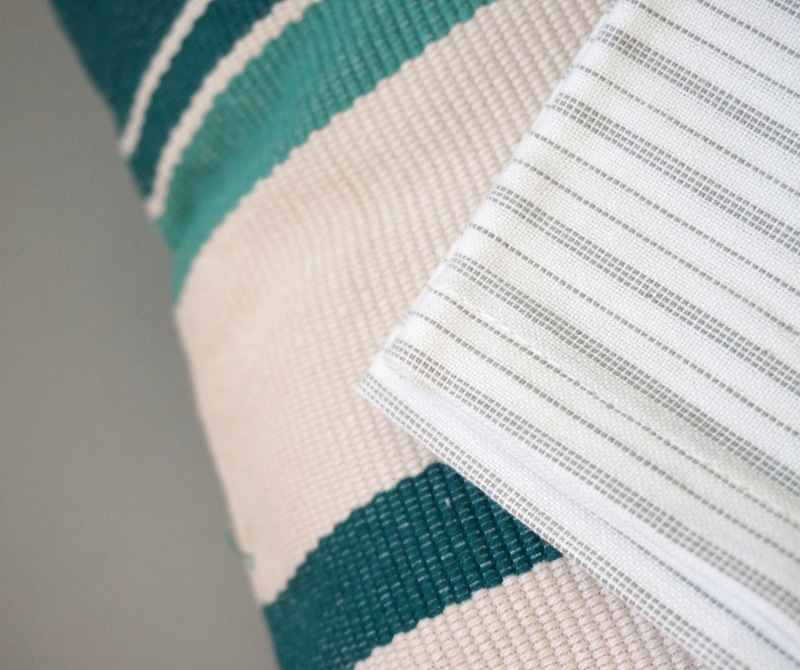 Don’t be afraid to layer striped textiles for a beachy look. 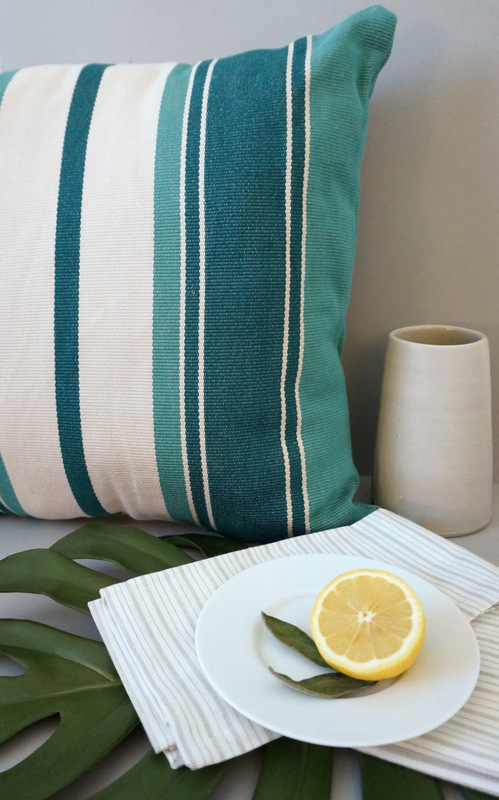 Luckily stripes and woven decor are experiencing a renaissance this summer. Readily available and often affordable, these items will never go out of style, even long after this season’s trends have come and gone. 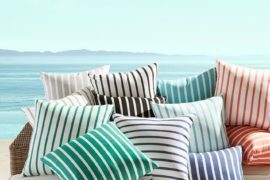 So bring the beach house look home! 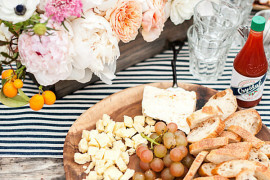 Don’t forget to stock up on white plates if you plan on entertaining. 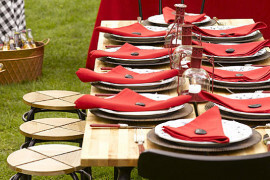 Selections such as Crate & Barrel’s Maison Dinnerware are classic and allow the food to take center stage. 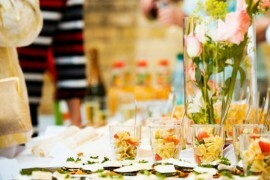 On that note, entertaining during the summer months should be as easy-breezy as the season itself. 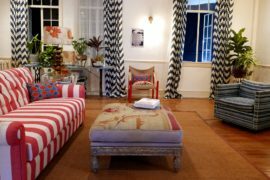 Since this time of the year celebrates a laid-back attitude, there’s no need to make your tabletop formal. 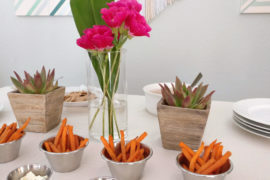 Many hosts and hostesses have a few key items on hand at all times, making it a snap to throw together snacks at a moment’s notice. 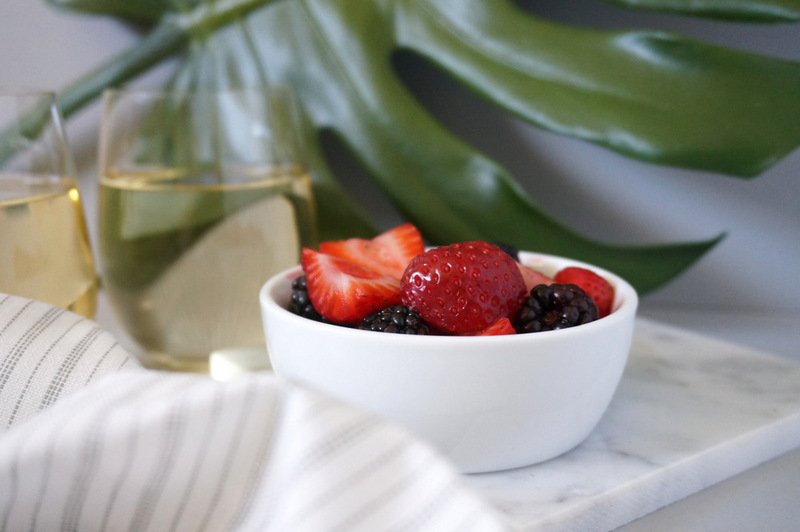 Summer favorites include white wine and fresh berries. 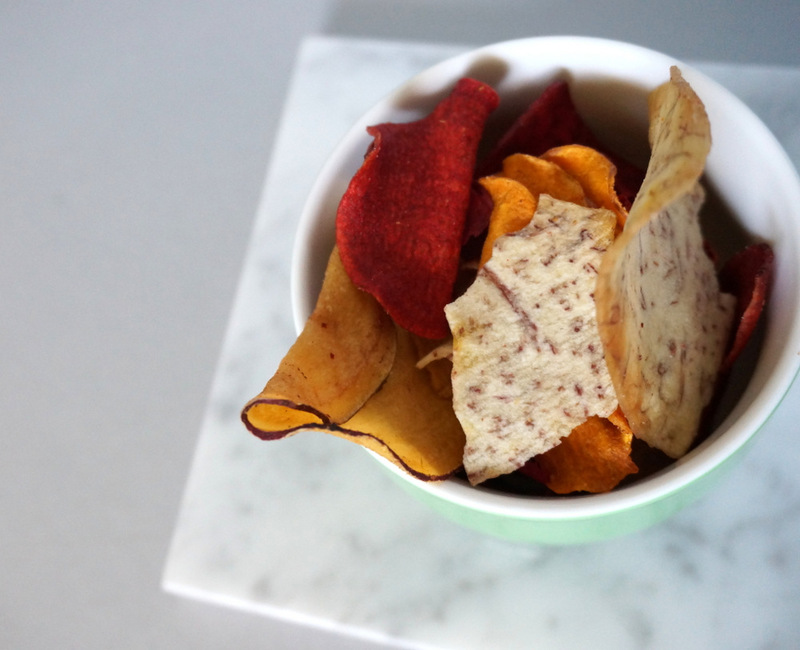 Another easy snack that doubles as a great appetizer: aioli and sweet potato chips. 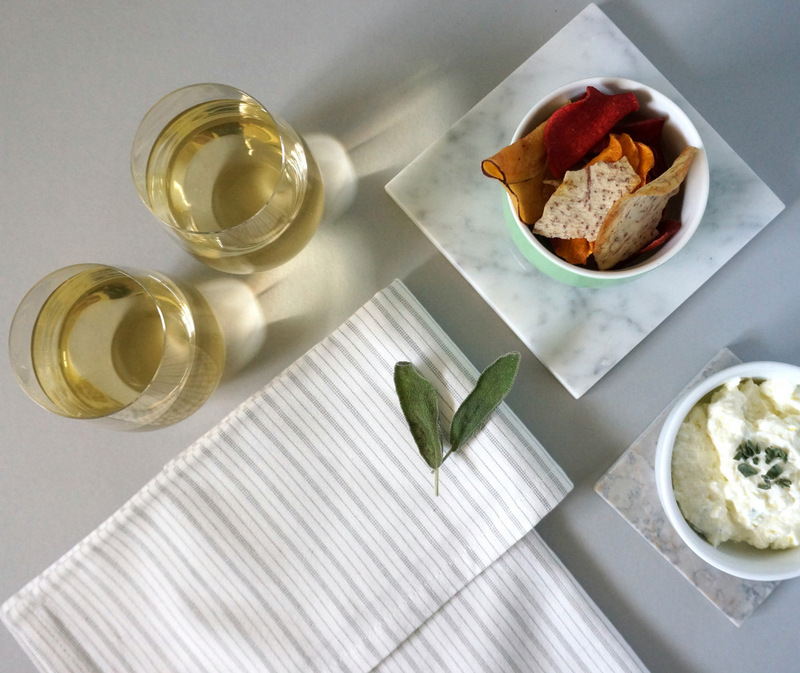 This aioli recipe from Margaret’s Dish couldn’t be easier to whip up. 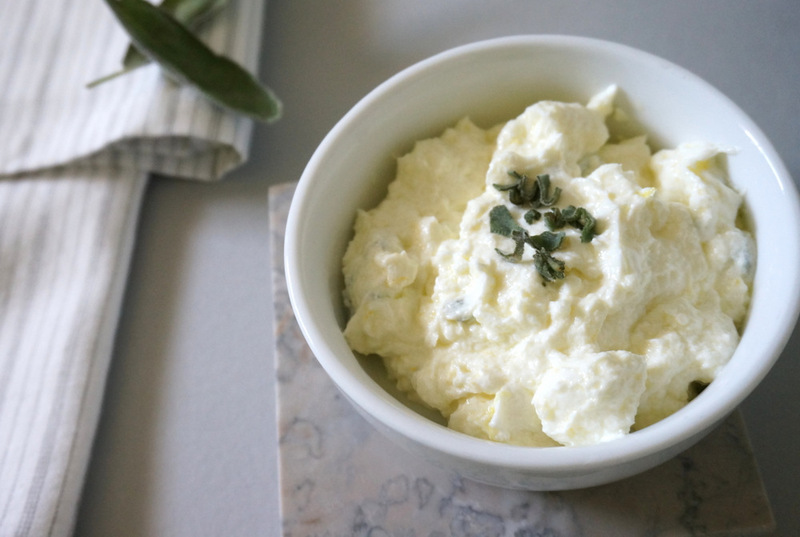 Not to mention, it incorporates delicious ingredients like yogurt, goat cheese, olive oil and sage. 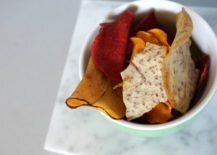 Not only does it pair beautifully with sweet potato chips, it can accompany vegetable chips such as parsnips and beets. 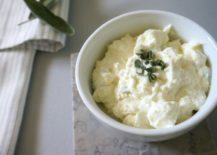 Having one go-to appetizer recipe will make a big difference, and it’s easy to mix in store-bought items when you offer a crowd-pleasing, homemade main attraction. 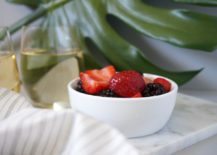 Another summer-perfect treat to have on hand for guests? 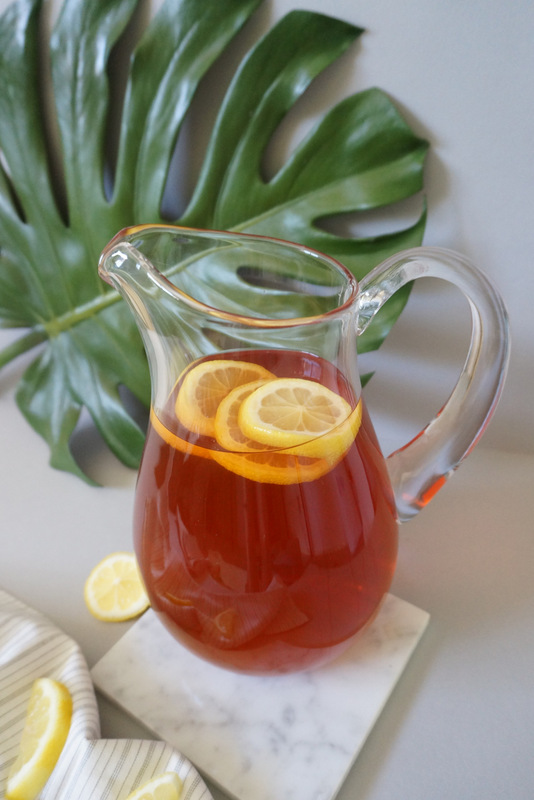 Iced tea! 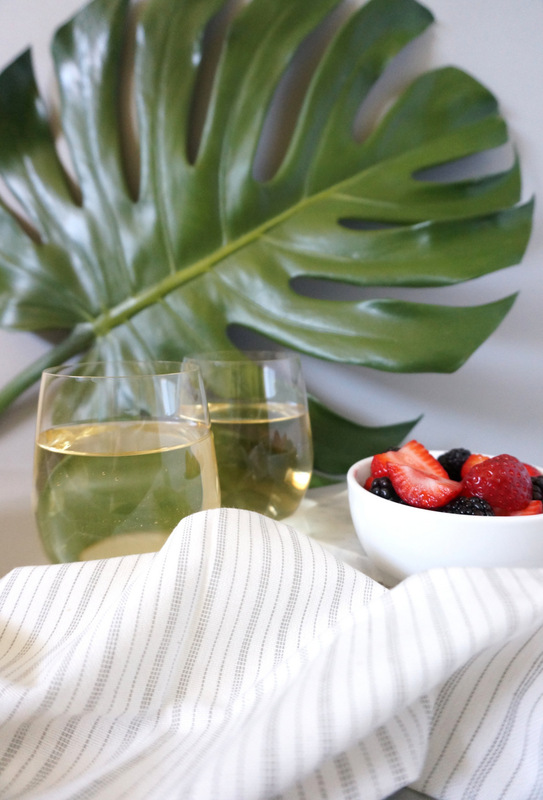 We’ve displayed ours in Crate & Barrel’s All-Purpose Pitcher. 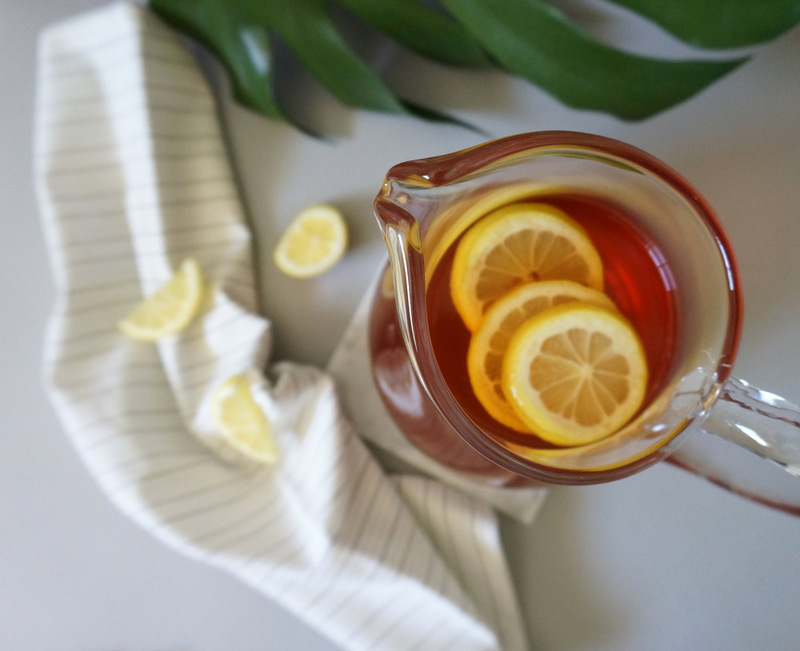 Have fun mixing different types of tea to create a custom recipe. 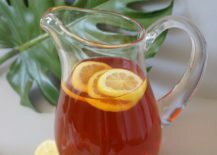 Below: sweet orange and mint herbal teas combine with standard iced tea. 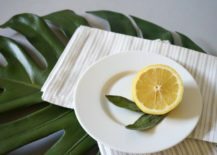 Don’t forget the splash of lemon! 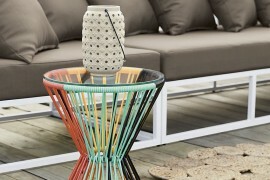 We at Decoist wish you and yours a refreshing summer filled with chill decor and delicious food. Enjoy!